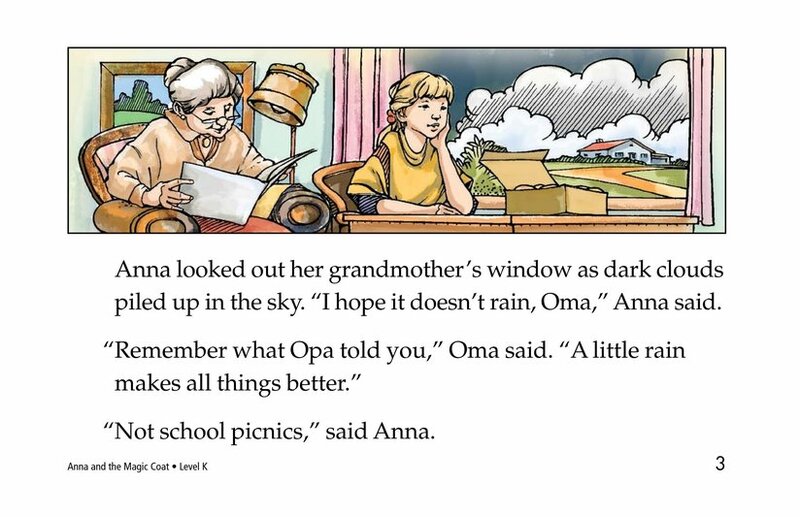 It looks like rain at Anna's school picnic. 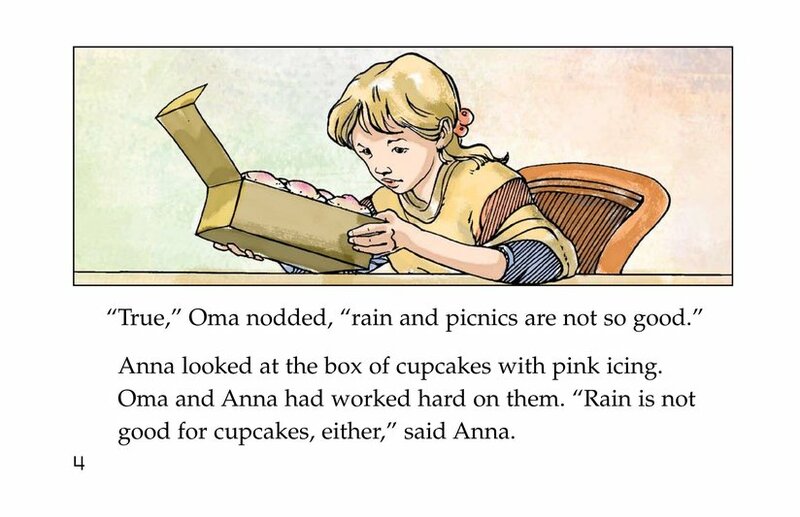 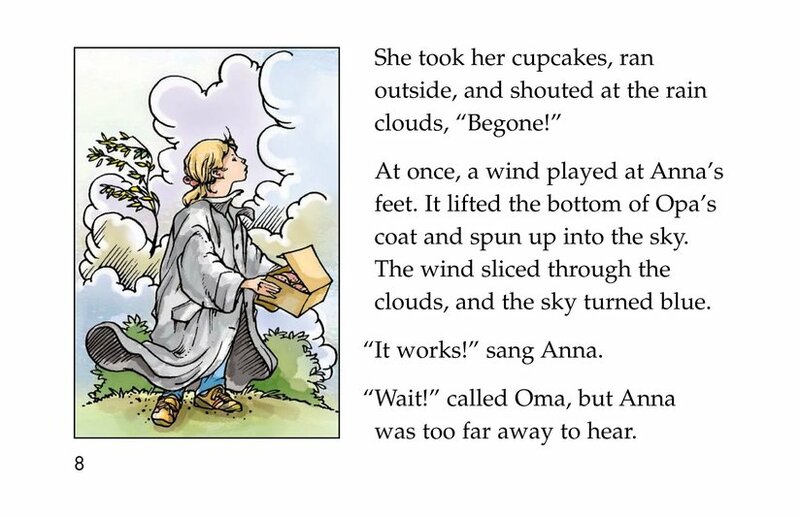 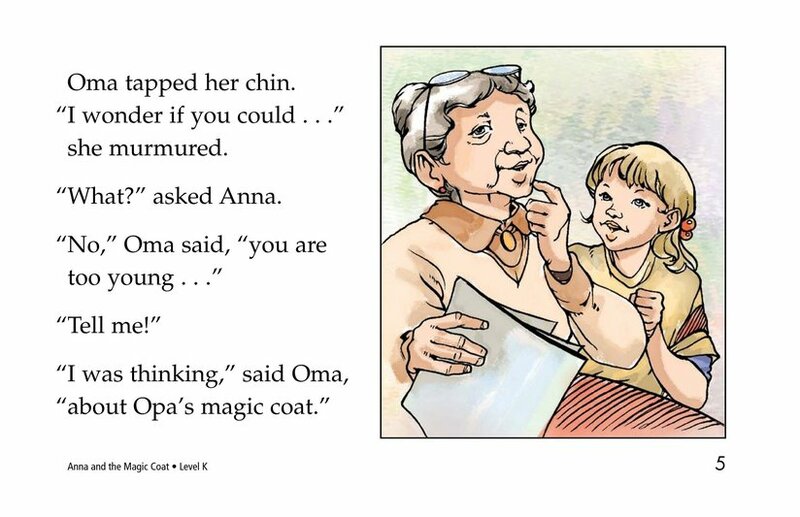 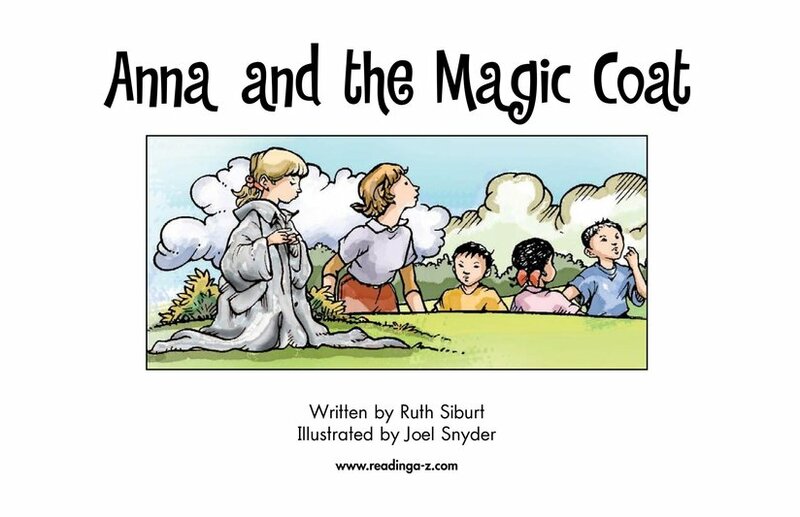 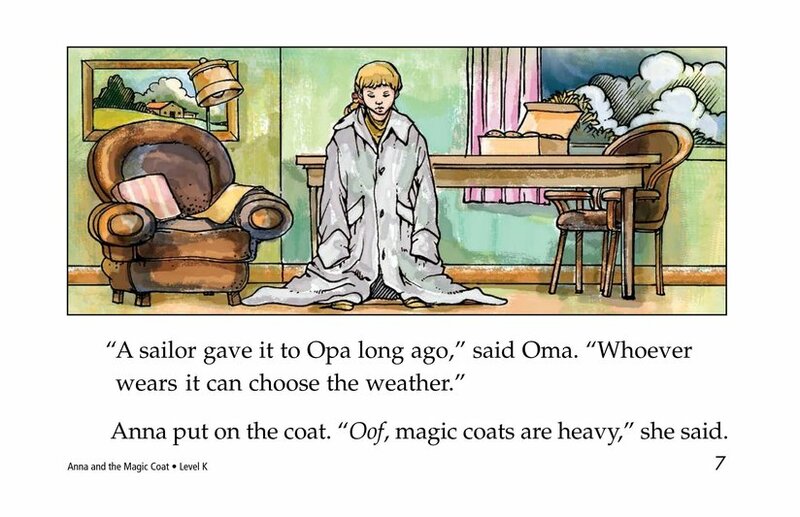 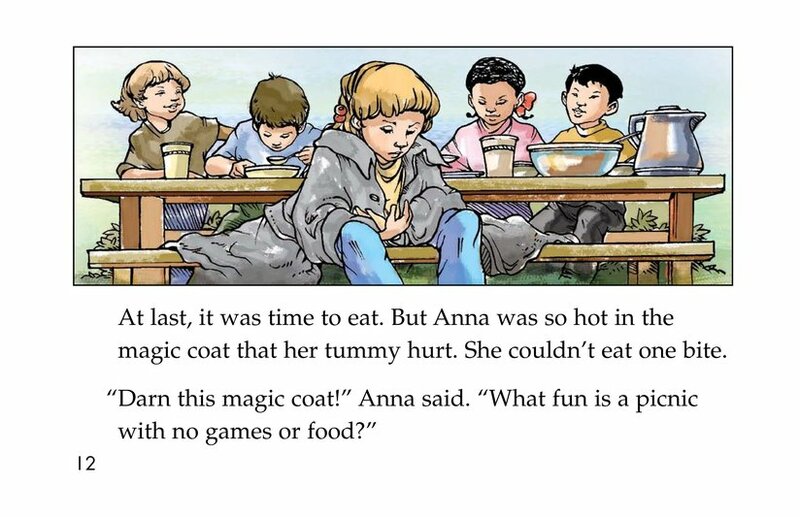 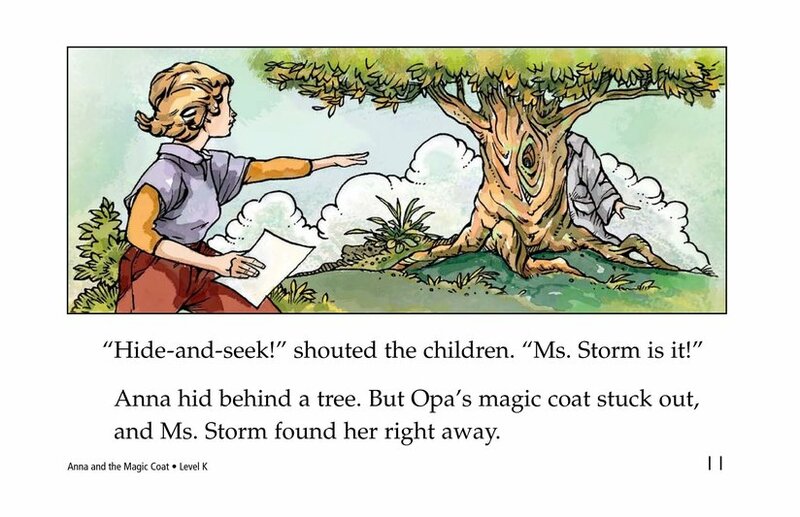 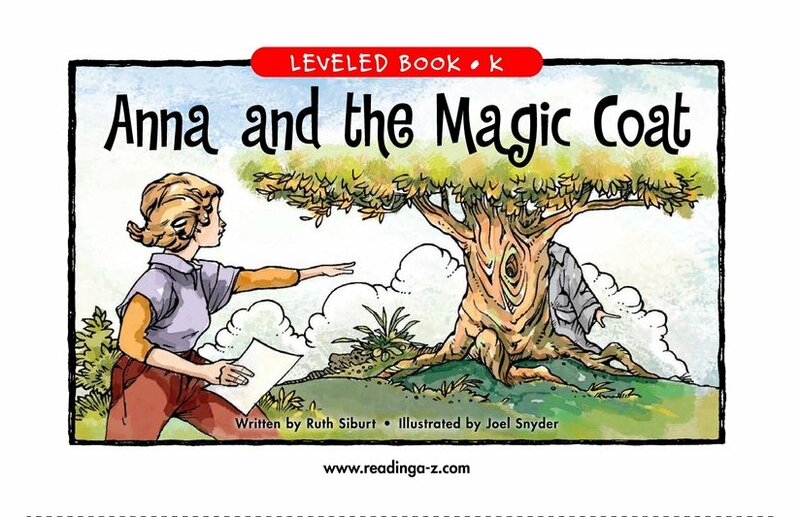 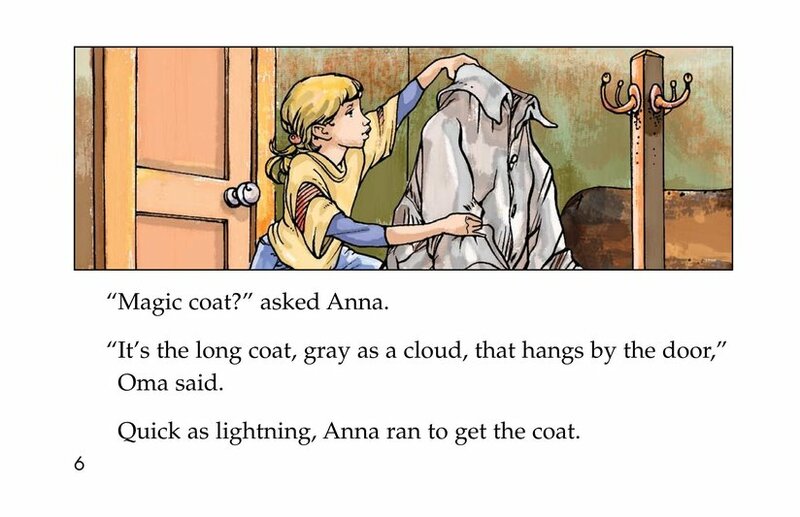 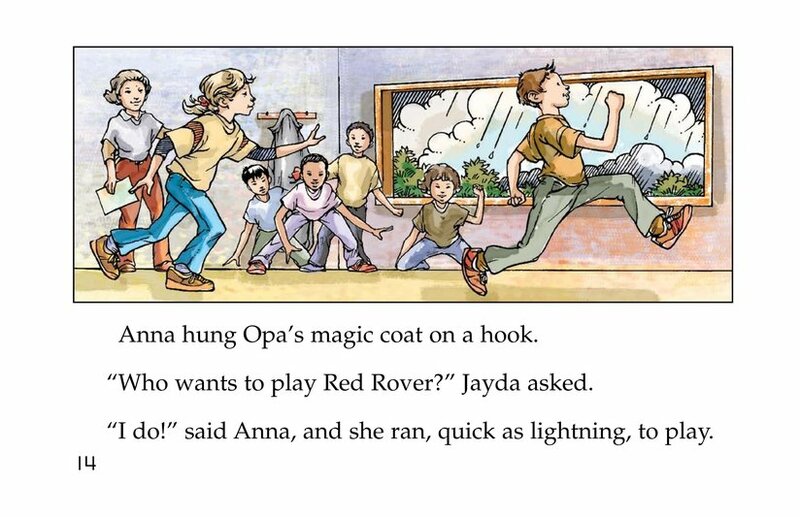 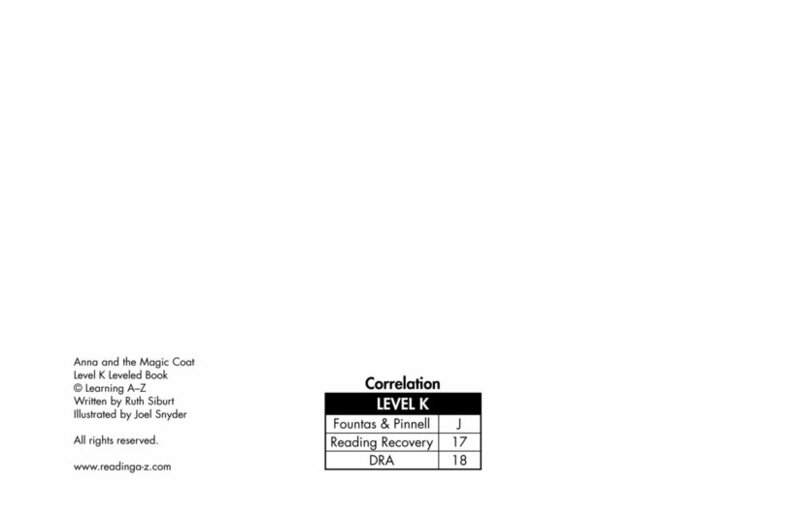 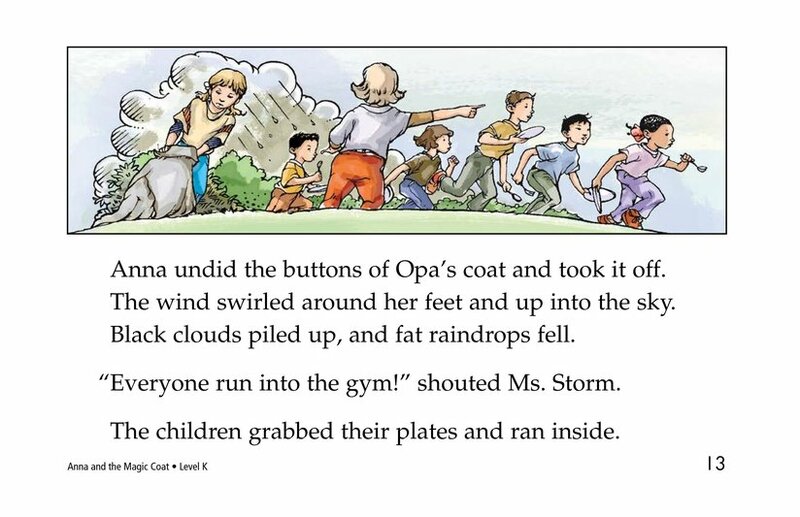 But with Oma's magic coat, Anna can change the weather, and she commands the clouds to go away. 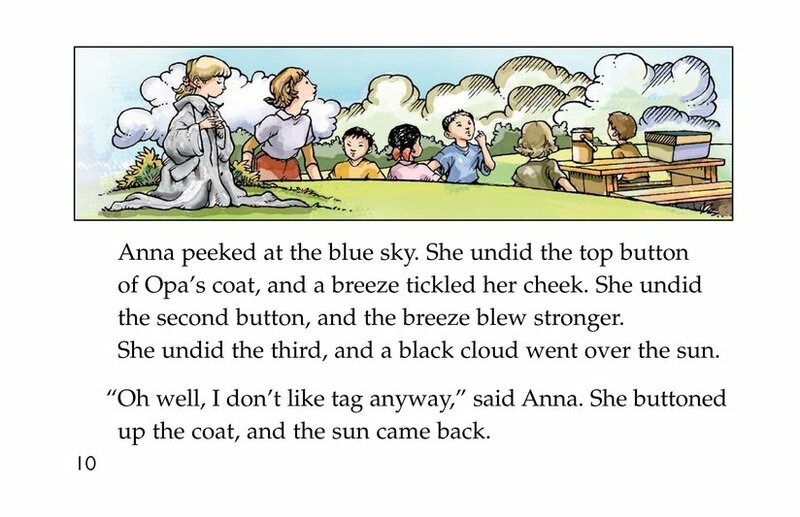 Under sunny skies, everyone has fun except Anna. 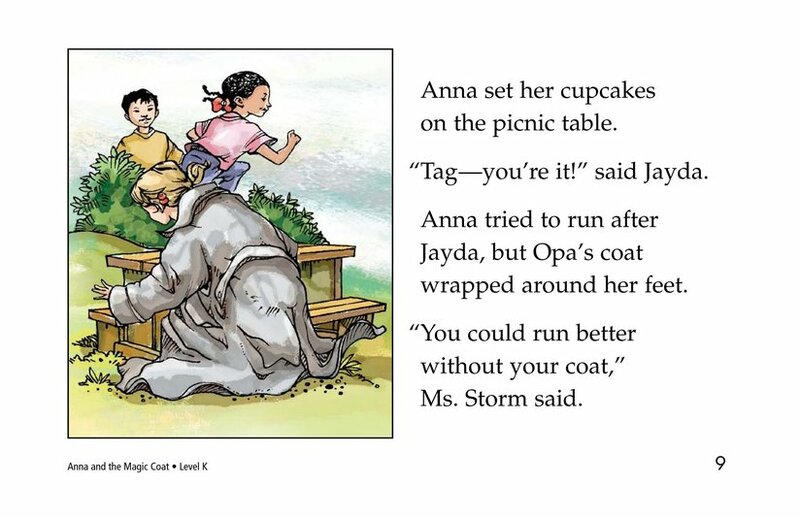 How can she enjoy a picnic while wearing a coat that is too heavy and too hot?